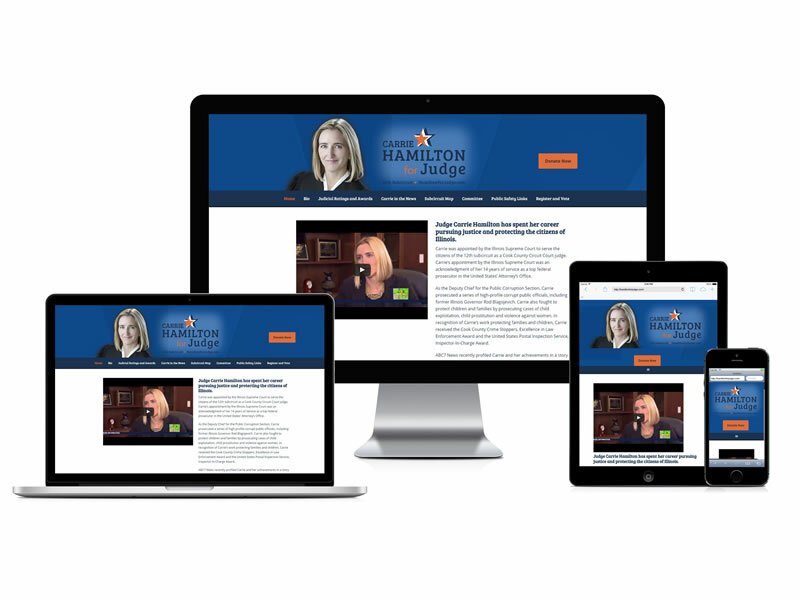 Eric Sussman came to us looking for help with branding and a new website for his wife’s upcoming election. We created a new logo for use online as well as offline promotional materials. The site content features Carrie’s accomplishments throughout her career and information to her community. The site is also set up to to accept online donations. 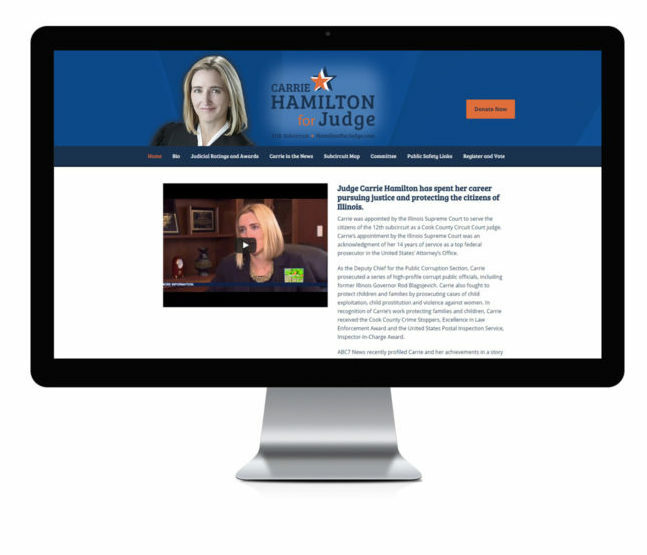 Carrie was successfully elected and the site now serves as an information portal for past/current information about the judge, as well as, helpful community links. Website is currently offline at this time.